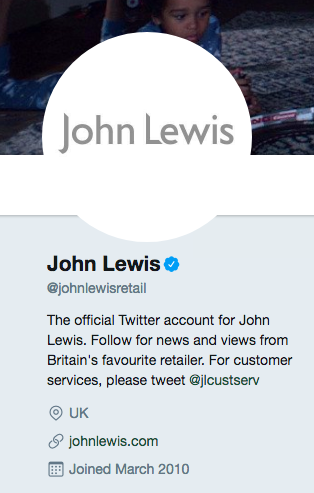 For years and years now, people on Twitter have confused a man from Virginia called John Lewis with the British department store John Lewis. People are a bit more divided this time around because the advert is not sad enough and nor is the monster is scary enough. And John Lewis (the man) agrees. Carpal tunnel syndrome is scarier than the monster under my bed. Though he does like the advert. ...and he had to fend off the internet once more. Maybe Lewis has started to have had enough. Well, if so, hopefully this has brightened his day a bit. 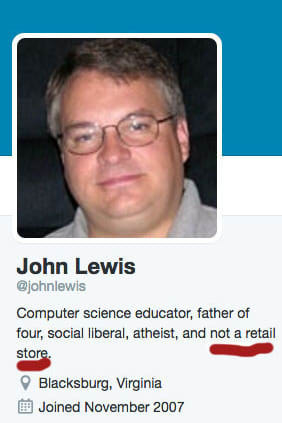 Should John Lewis (the man) change his Twitter @? Yes, he has been a patient and a nice man for far too long. No, that's no fun, you Christmas grinch.